Kulim First Travel and Tour (M) Sdn Bhd is a Travel Operator authorized by the Ministry of Culture, Arts and Tourism Malaysia situated in Kulim, Kedah.. It is a considerable authority in inbound and outbound visits, ticketing and express bus services. Their Inbound trip division arranges local tour visits, Eco and Agro-tourism; to a wide variety of travelers. 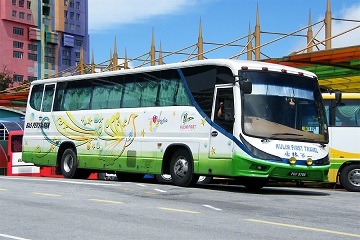 Kulim First offers various bus routes in Singapore and Malaysia with more than 134 departure daily to over 26 routes. 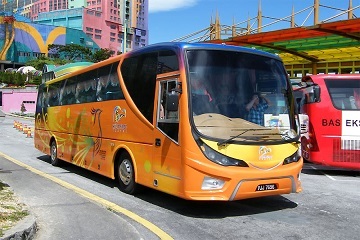 Famous routes from Kulim first includes bus from Kulim to Genting Highlands, Genting Highlands to Penang, Kedah to Genting Highlands, Pahang to Kedah, Goh Tong jaya to Penang, Penang to Genting Highlands and Perak to Genting Highlands. Pick up and drop off points for Genting Highlands is at Mushroom Farm bus terminal, Gohtong Jaya or First World Hotel Bus Terminal. Besides, travelers can choose from various pick and drop off points at Penang such as Bukit Mertajam,Jawi Toll,ST Anne Bus Stop,Sungai Nibong- Petron Station and many more. For travelers that wish to travel from Perak to Penang, the pick up points at Perak is at Tanjung Malim. Kulim First buses comes with single deck 30 seaters or single deck 44 seaters arrangement. Price ticket range from RM43 to RM48 depending on your journey distance and seasonal surcharge. 11, Lorong Satu, Taman Kemuning, 09060 Kulim, Kedah. No.12G & 14G, Lorong Usahaniaga 1, Taman Usahaniaga, 14000 Bukit Mertajam, Penang.